WASHINGTON (AP) -- Robert Mueller has been busy. In just the last two weeks, the special counsel has secured the cooperation of President Donald Trump's former campaign chairman, dispensed with the case of the campaign aide who triggered the Russia probe and signaled he's squeezed all the information he needs out of former national security adviser Michael Flynn. All that activity has not gone unnoticed by Trump. The president has continued to wage a public-relations war on Mueller, casting his investigation into Russian election interference and possible coordination with Trump associates as a politically motivated witch hunt. In his latest move, Trump is again using his executive power to declassify documents in the Russia probe that he says build a case that the investigation was tainted from the start by bias in the Justice Department and FBI. And in an interview with The Hill , Trump said he hopes his effort to root out what he sees as corruption in the FBI and Justice Department will go down as one of his "crowning achievements," a move he likened to exposing "something that is truly a cancer in our country." Urged on by a small group of House Republicans, the president on Monday ordered the public release of any Russia investigation-related text messages of several FBI and Justice Department officials, including former FBI Director James Comey and former acting FBI Director Andrew McCabe. He also declassified a portion of materials used to obtain a secret warrant to monitor the communication of former Trump campaign foreign policy adviser Carter Page. Trump, who told The Hill he hasn't read the documents he's declassifying, said Tuesday he made the decision because he wants "total transparency." Trump and his allies believe the documents will show improprieties during the early days of the Russia investigation. They say the 21 pages show top Justice Department officials abusing the Foreign Intelligence Surveillance Act process, particularly through the use of information gathered by former British spy Christopher Steele. His Democrat-funded research into Trump ties to Russia was included in the FISA applications and later compiled into a dossier that was published in January 2017. FISA applications and warrants are some of the most secret documents in the government. The warrants are supposed to be used to gather intelligence on people suspected of being agents of a foreign power. Democrats and some former national security officials have criticized the declassification move, saying it could jeopardize intelligence-gathering sources and methods. They also say the president is abusing his power to serve his own interests. It's unclear when the documents will become public. Paul Manafort held out through multiple indictments, months in jail and even a conviction on eight criminal counts — all until last week. On Friday, the man who led Trump's campaign for several crucial months pleaded guilty to two more felony charges and agreed to cooperate "fully, truthfully, completely and forthrightly." 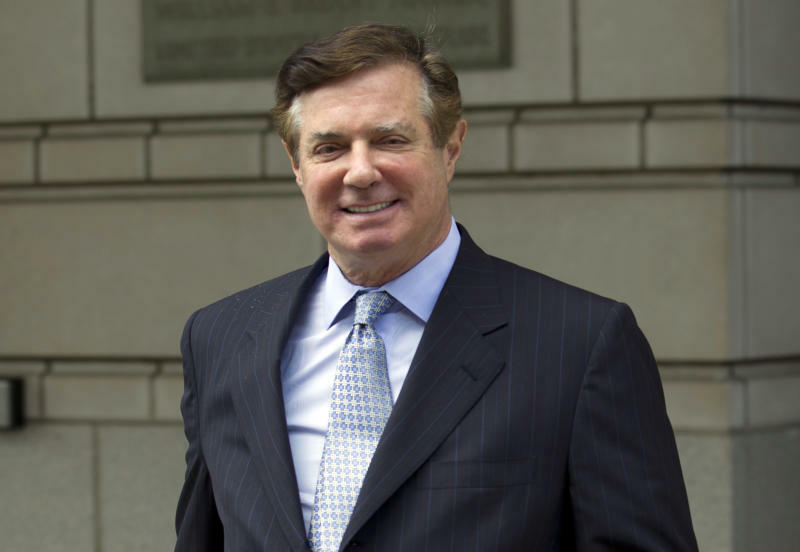 Manafort's deal came as he was facing a second trial that was to explore his efforts to secretly lobby in the U.S. for Ukrainian interests and to conceal the millions of dollars he funneled through offshore accounts as part of that work. Manafort, an eyewitness to a June 2016 meeting at Trump Tower with a Russian lawyer, could detail the actions of Trump's son-in-law, Jared Kushner, and Trump's eldest son, Donald Trump Jr., who was told in emails that it was part of a Russian government effort to help his father's campaign. Manafort also headed the campaign while, court papers say, the Russian government was actively trying to influence the election. And his ties to prominent Russian and Ukrainian businessmen also offer prosecutors a wealth of information they can use for not only the Russia probe but also potentially other investigations. That includes continued government scrutiny of law firms and Washington lobbying shops, such as Skadden Arps, Mercury Public Affairs and the now-defunct Podesta Group, which took part in Manafort's unregistered lobbying work. With Manafort's deal, Mueller has now secured six guilty pleas and a trial conviction and has pending indictments against three companies and 26 individuals including 12 Russian intelligence officers. Two other investigations that Mueller referred to other U.S. attorneys have also resulted in guilty pleas. That includes a probe of longtime Trump fixer Michael Cohen. While Manafort is just beginning his cooperation, former Trump foreign policy adviser George Papadopoulos wrapped up his. And prosecutors weren't too happy with him. They recommended jail time because he didn't provide "substantial assistance" and only begrudgingly helped them after his 2017 arrest. They also argued that Papadopoulos' lies during the early days of the FBI's Russia investigation irreparably damaged it. Those false statements involved Papadopoulos' contacts with Russian intermediaries during the 2016 campaign. Before Russian hacking of Democratic organizations became public, one of the intermediaries, a Maltese professor, told Papadopoulos that the Russians had "dirt" on Democrat Hillary Clinton in the form of thousands of emails. But when FBI agents confronted him in January 2017, Papadopoulos lied, and, prosecutors say, that deception resulted in them missing an opportunity to interview professor Joseph Mifsud while he was in the U.S. He hasn't returned since. A federal judge ultimately sentenced Papadopoulos , whose Russian contacts triggered the Russia probe, to 14 days' incarceration. After months of delay, Mueller's team says they're ready for a judge to sentence Trump's first national security adviser as early as Nov. 28. Flynn, a retired U.S. Army lieutenant general and a senior Trump campaign surrogate, has been waiting for the government's signoff since he pleaded guilty in December 2017 to lying to the FBI about his contacts with Russian officials during the presidential transition. Flynn has been seen as a key cooperator in Mueller's investigation. But prosecutors have yet to say what he shared and whether it has led to possible criminal charges against others. And a court filing Monday suggests the public will have to wait a little longer. Prosecutors are asking a federal judge to set a schedule that would keep the specifics of Flynn's cooperation from becoming public until after the midterm elections.